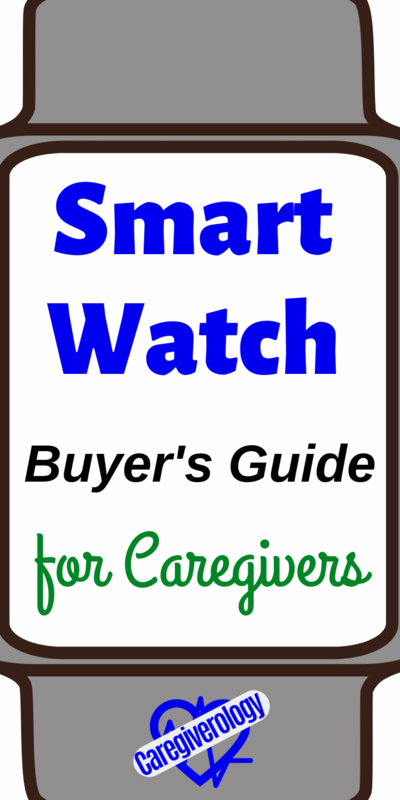 This is a simple buyer's guide for caregivers interested in owning a smart watch. If you don't know what they are or have any interest in purchasing one, you should find answers to some questions you may have here. So what exactly is a smart watch? It is worn like a regular wrist watch and has the same basic functions, but it can also do so much more. It connects to your smart phone so they can work together, but it still has basic functionality even without a phone. However, I do recommend having both because they compliment each other very nicely. In addition to telling time, many of them can be used as a stopwatch, alarm, pedometer, heart rate checker, etc. If it is connected to your phone, it can be used to answer calls, read and send texts, listen to music, function as a GPS, among many other things. It can even vibrate to make you aware of alerts like a phone if desired. Most of them also have a touch screen and an accelerometer. 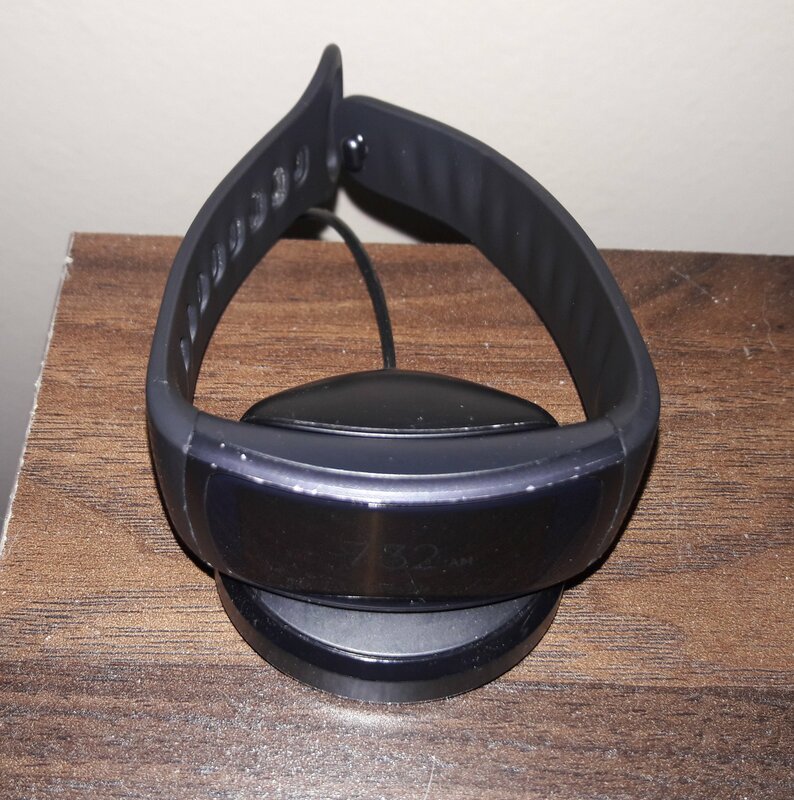 The accelerometer makes it sensitive to movement so it can track your steps and automatically know when you move it towards your face to look at it. They are truly remarkable devices. 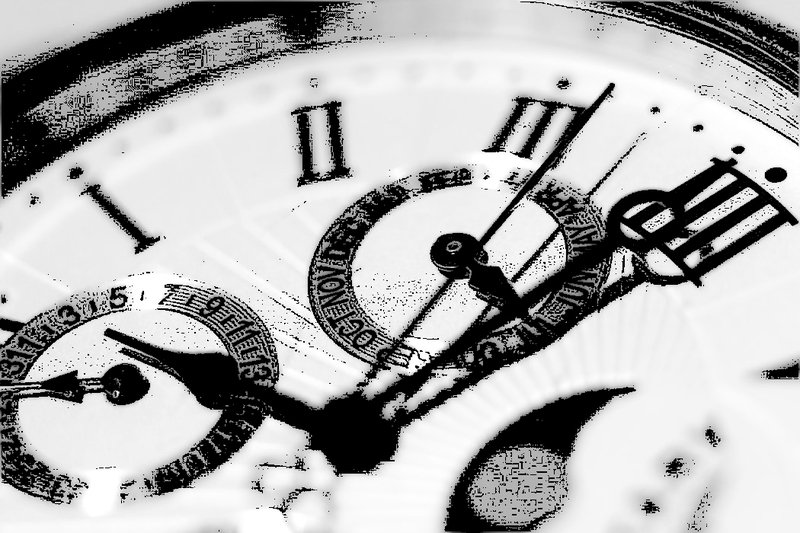 Time is something everyone has to be aware of at some capacity. For the majority of us, most of our days revolve around a tight schedule. Without time, how would we properly interact with each other and accomplish tasks in this fast paced world? I wear my smart watch almost anytime I go out, but I appreciate it the most when I'm at work. As a caregiver, time is extremely important. We constantly have to be aware of what time it is. This is especially true for caregivers like me who work at a facility with multiple patients. Time can easily slip away from us if we aren't careful. Things such as medications, procedures, tests, appointments, etc. require precise timing in order to juggle them effectively. Time management and prioritization were the most important factors that encompassed nursing school. You may be asking, why should I purchase such a device? What's wrong with just buying a normal watch? 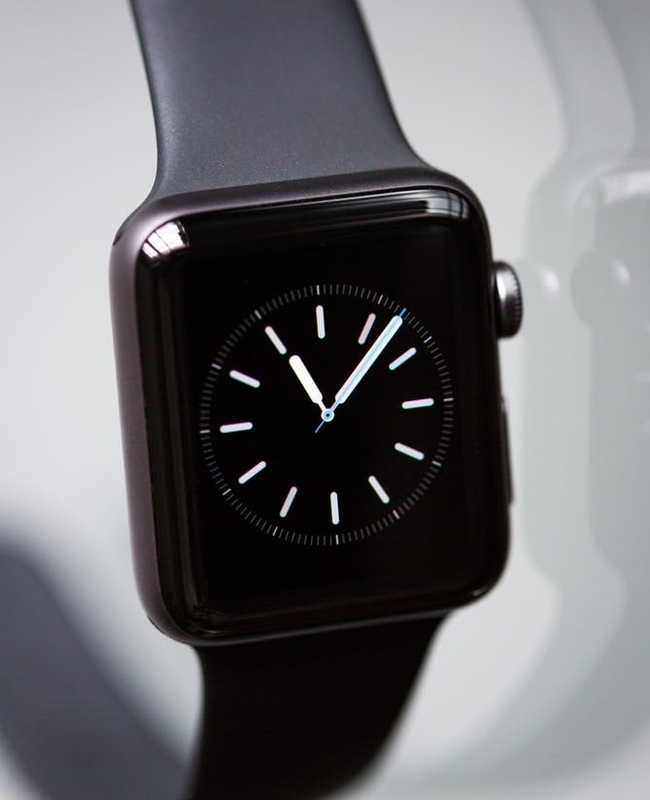 While you certainly can, there are many benefits to purchasing a smart watch instead. Even if you aren't very tech savvy, you can easily learn the basics on how they function. The set up is fairly self explanatory. Because of their popularity, they are becoming more and more affordable. There are more companies competing to create the best value which means more options to choose from that perfectly fit your needs. Just a few years ago, they were a rarity, but now they can easily be found and purchased for not much more than a regular watch. The one I currently own and use is the Samsung gear fit 2. I have been using it for quite some time now and I am highly satisfied with my purchase. Despite its name, you do not need to have a Samsung phone in order for it to work properly. It works with any smart phone including the iPhone. I purchased mine for $150, but you can now find a refurbished one for even cheaper. Although that may sound expensive, I don't regret buying mine in the slightest. Considering it's quality and functionality, I actually would have gladly paid more. I have already gotten so much use out of it and it is still kicking. With my experience, it has been very durable. I have banged it up quite a bit by slamming it into walls and doors multiple times. I have also dropped it from multiple feet in the air onto hard surfaces. Looking at it now, the screen has just a few minor scratches that aren't even noticeable unless you are looking for them. It still functions flawlessly. There are screen protectors available to purchase fairly cheap if desired but from my experience, it takes a lot to do significant damage to it. That's coming from someone who will not use his smart phone without a screen protector and protective case. It is also water resistant. 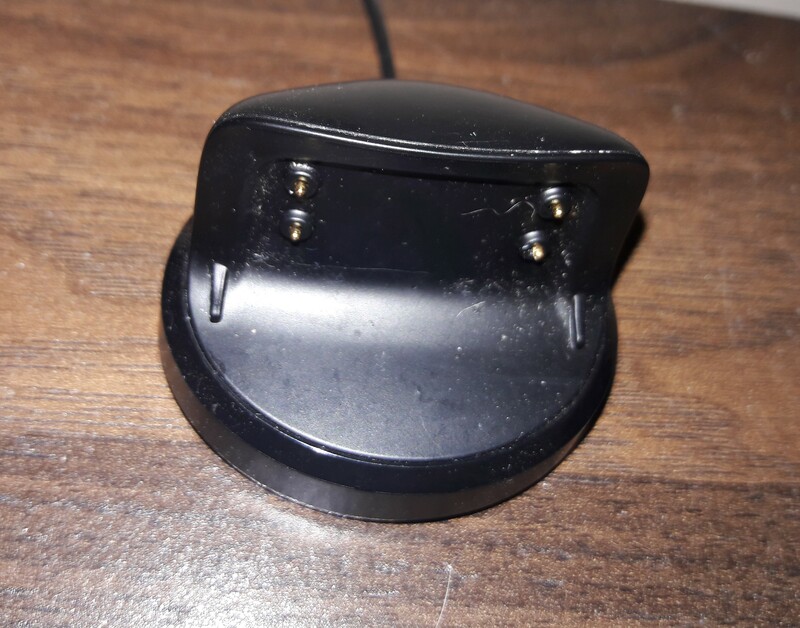 I have gotten it wet while washing my hands with it still on many times and have worn it out while it was raining but have never had any water damage issues. It isn't completely waterproof though so I wouldn't recommend bathing or swimming while wearing it. The smart watch's battery is the main downfall in my opinion, but it is still adequate. There are ways to extend the battery life, but with the way I use it, the battery doesn't usually last much longer than my 12 hour shifts. It is usually dead or nearly dead by the time I get home. I will say though that I use it a lot and don't attempt to save power. There are a few different ways to make it last much longer if desired. There is even a power saving mode that gives it minimal functionality, but extends the battery life dramatically. 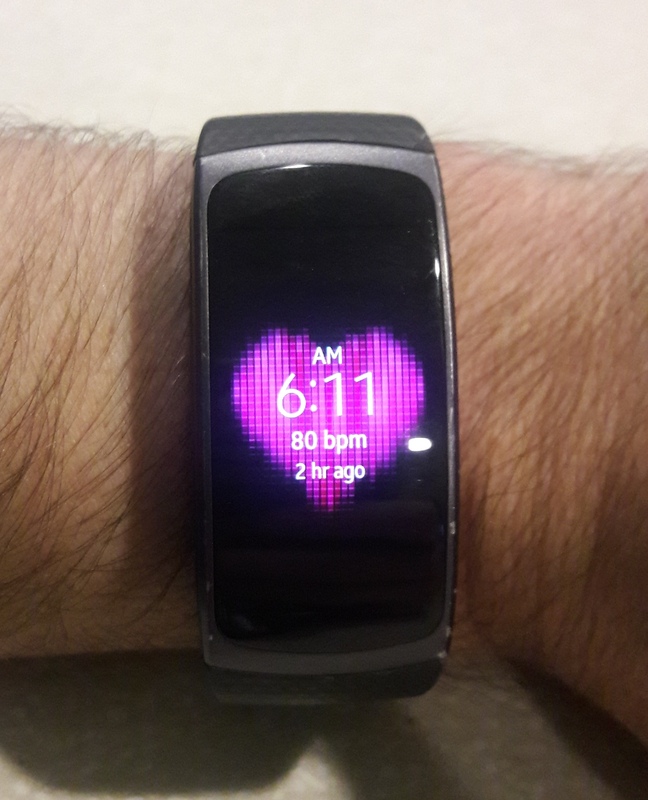 There is a way to set it to where it will only show the time when you flick your wrist towards your face or when you touch it, but I personally prefer to have it always showing. It also checks my heart rate periodically which also eats up lots of power. Lowering the brightness setting is another way to extend the power, but I like to have mine clearly visible. The charger itself is really convenient. The smart watch doesn't have a standard outlet that a charging cord plugs into. The charger is just a small and simple stand. You just place the watch on top of it. There is no plugging and unplugging required. The charge time is pretty fast going from 0% to 100% in just a little over an hour. Although there are now many different kinds to chose from, the standard wrist band only comes in 2 different sizes, small and large. The dimensions for the small size is a wrist circumference of 5.9 inches (15 cm) to 7.5 inches (19 cm). The large fits a wrist circumference of 6.1 inches (15.5 cm) to 8.2 inches (20.8 cm). So what size are your wrists? If you don't have a measuring tape handy, it can be hard to say. For me though, as a male with moderately sized wrists, I use the small size and still have a few notches left over. Luckily the bands are fairly cheap so if you do get the wrong size, it is easily replaceable. 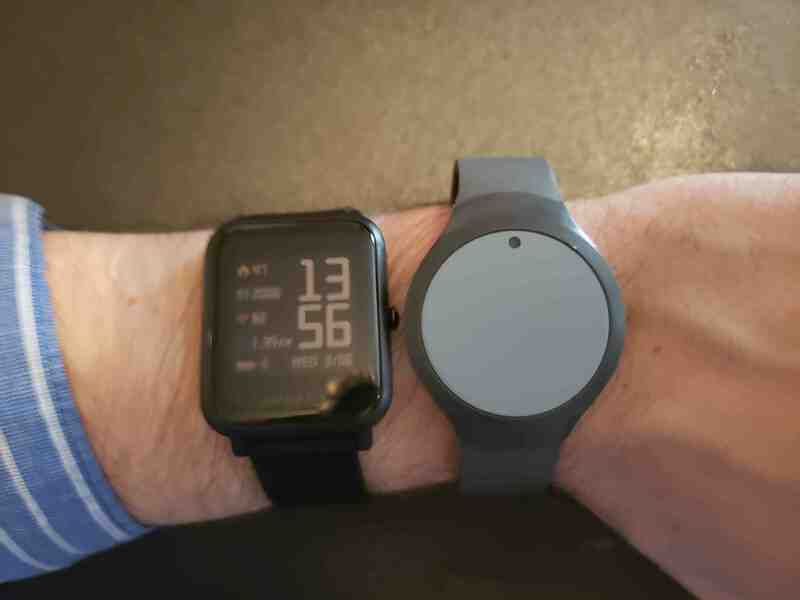 I recently got the Amazfit Bip off of Amazon. The picture shows it next to a medical alert wrist pendant by electronic caregiver. It only cost $80 and I may like it more than the gear fit 2. The main reason being because the battery life is so much better. A single charge lasts up to a month. It really is incredible how much longer it lasts in comparison. However, I will say that I miss my Samsung vibrating and displaying my text messages directly on the watch. This one will vibrate, but not display the message, although it does have the option to vibrate and show you who is calling you. I'm not sure why the texting feature isn't available. Maybe they will add it in a future update. Although I haven't covered everything there is to know about smart watches, I feel like I've covered many of the important basics. There are too many functions to discuss thoroughly, but don't let that scare you. Most of them are optional. If you still have questions about them, let me know in the comments down below and I will answer to the best of my ability. If you already have one or decide to purchase one from one of the amazon links down below, let me know what you think of it. I am also curious to know the various kinds of smart watches other people recommend if anyone wants to share their experiences for all to see.